Nokia’s Chief Product Officer Juho Sarvikas has teased February 24th as the launch date for its devices. The company has once again chosen Mobile World Congress (MWC) 2019 — world’s biggest tech trade show — to showcase what it has in store. 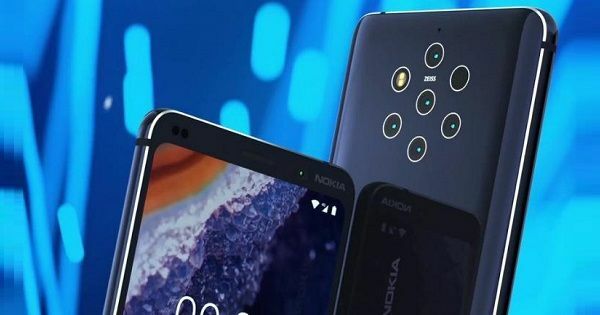 Much like last year, Nokia’s license holder HMD Global may take the wraps off new smartphones, including the rumoured Nokia 9 PureView, Nokia 8.1 Plus, and Nokia 6.2. The Nokia 9 PureView is expected to be a flagship offering and the world’s first smartphone with five camera setup. You heard it right! The handset is tipped to feature Penta cameras at the back panel. It’ll most likely flaunt a 5.99-inch display – probably with an 18:9 aspect ratio, 2K resolution, and Nokia’s PureView tech. Under the hood, it may employ Qualcomm’s Snapdragon 845 chipset accompanied by 6GB of RAM and 128GB native storage. The Nokia 6.2 and Nokia 8.1 Plus are expected to be mid-range offerings. The alleged Nokia 6.2 will come as a successor to Nokia 6.1 or Nokia 6 (2018). It’s tipped to flaunt a punch-hole display like the Galaxy A8s and Honor View 20 and Snapdragon 632 chipset. The Nokia 8.1 Plus, on the other hand, will most likely be a slightly more powerful version of the recently launched Nokia 8.1. The handset is expected to come with a punch-hole style display with front camera at the top and Snapdragon 710 SoC ticking at its core. Other than these smartphones, Nokia could also introduce a few more devices such as new feature phones. Stay tuned to know more. As for the MWC 2019, it’s slated to start from February 25th in Barcelona, Spain. As stated above it’s the biggest tech trade show in the world where several OEMs – including Samsung, Huawei, LG, and Xiaomi – showcase their upcoming offering or technology that might end up on consumers hand in the next few months.